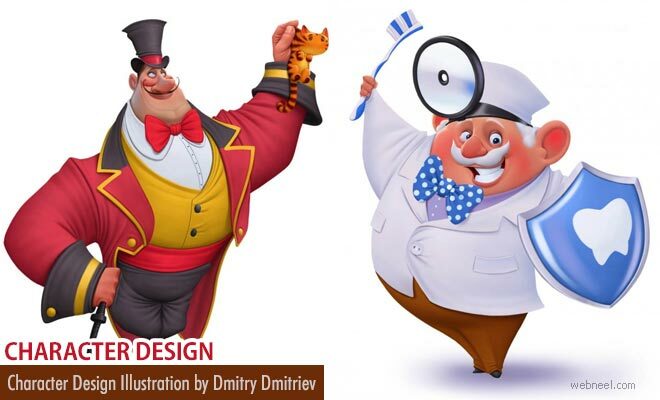 Character Designs: Dmitry Dmitriev is a freelance illustrator and digital artist from Orenberg, Russia. His character designs are quite popular on the social media. His illustrations are based on Japanese characters and lot of other Asian mixture. Artist Dmitry was very much interested in painting and drawing ever since he was a little kid. Once he was introduced to Photoshop, he immediately fell in love with the versatility of the software and thus began his journey of character designs and illustrations. His character designs are not so blaring and they have a soft tone and gracefulness. It's interesting to see what he can come create out of inspirations drawn from around the world.